Inhabitants of the last unconquered village in Gaul (ancient France) use a magical potion to hold their independence from Roman invaders. Astérix: Look - the Man in the Iron Mask! Obélix: Have they written that yet? 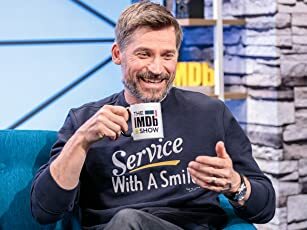 Q: What's that hip-hop song played during the film? I, not being a fan of live-action movies based on cartoons or comics, didn't expect much of this film. "At least it's made by the French, as were the comics", I thought. The film, however, turned out to be pretty good. The actors did their jobs well and actually managed to look like the original Gauls and Romans I've grown to love. The special effects were impressive, especially the effect of the magic potion. The plot didn't follow any particular album, instead it was a mix-match of several album stories, with a little of its own thrown in. In my opinion, they didn't focus on certain albums enough. The main story, however, was very good. My only real complaint is the portrayal of the Roman legions. The Italian accent they spoke in was needless, because the Italian language wasn't around in 50 BC. And they should dress in green, not red! 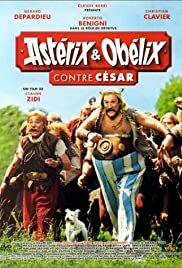 I recommend this movie to all fans of the Asterix comics. This is what live-action movies about cartoons should be like, which is more than I can say for many Disney movies.